Allcare Home Health Agency, was established because of our passion for taking care of seniors, disabled and special need adults. With an extensive corporate background and over 20 years as owner and administrator operating an adult care home we realized it was time to extend our caring compassion to the Home Care Industry. Allcare Home Health Agency, is composed of a multi-disciplinary team of nurses, home health aides, care coordinators and personal care attendants who have extensive experience in caring for seniors, disabled adults and children with special needs. Our caregiver deliver compassionate and comfort care with professionalism. 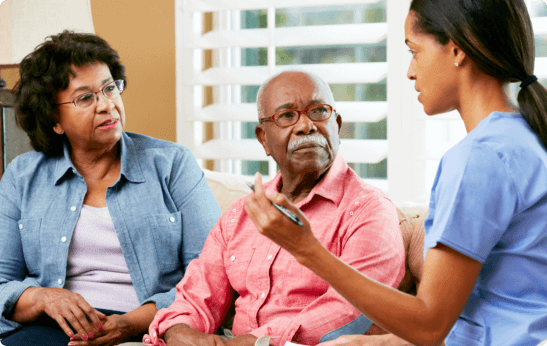 To ensure the quality of our services, our management closely supervises our care professionals as they carry-out their client care functions in their respective assignments. We have also invested in tools that can track caregivers as they arrive and depart from the client’s home as scheduled. We’re proud and confident to provide a range of home care services that will meet your loved one’s unique needs. Bathing, hygiene assistance, companionship to skilled nursing and medication management are some of the services we provide for our Veterans, children with special needs, and disabled adults. Care comes from the heart when you work with Allcare Home Health Agency. Allcare Assisted Living has been serving adults and seniors since 1997. We are located in a quiet, established community in Garner, NC. Our administrator has extensive experience managing and operating the assisted living home together with a team of professional caregivers dedicated in providing the best care and services for our residents. We treat each resident with dignity and respect to enhance their quality of life by strengthening the mind, body, and spirit. Our Agency and Assisted living Home is licensed, bonded and insured to ensure protection and ease of mind to you and your loved ones. Our caregivers are staff of Allcare. All staff participate and receive ongoing training in the unique skills required to provide you with the appropriate care.